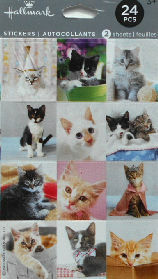 This is a package of 24 kitten stickers. The stickers are approximately 1" square. 12 stickers each on two sheets.